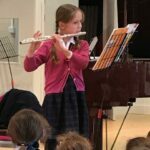 On Thursday afternoon we enjoyed a fantastic afternoon of music in the Senior School Longton Hall. 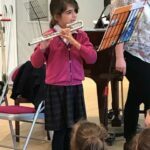 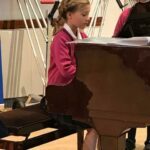 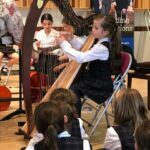 Soloists from year 3 and year 4 showcased the progress they have been making in their individual music lessons. 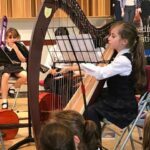 Every performer put a huge amount of effort into their performance and it was a delight to see such a wide variety of instruments on display. 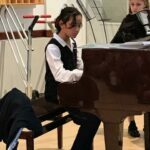 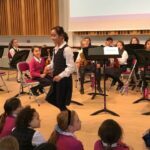 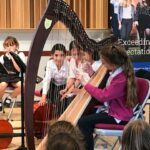 The Prep School Orchestra, Percussion Ensemble, Recorder Ensemble and Guitar Group also got out toes tapping and set the tone for a vibrant year of music ahead. 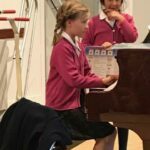 Thank you to Miss Duval, Miss Bloor, Mr Welch, Miss Brice-Mitford and Mr Harper for their support in preparing the girls for the concert.